The Laney Ironheart IRT-STUDIO Studio Rack Tube Amp takes the powerful tones of the Ironheart series and delivers it in a low-power, compact design suitable for the studio, on the road, and at rehearsals. Despite its compact size, the IRT-Studio is fitted with 3 powerful channels and an array of controls to ensure players can dial in the perfect tone for any situation. Its ECC83 and EL84 Tube setup delivers classic valve tones, and its 15 watts of power makes it ideal for an array of settings. 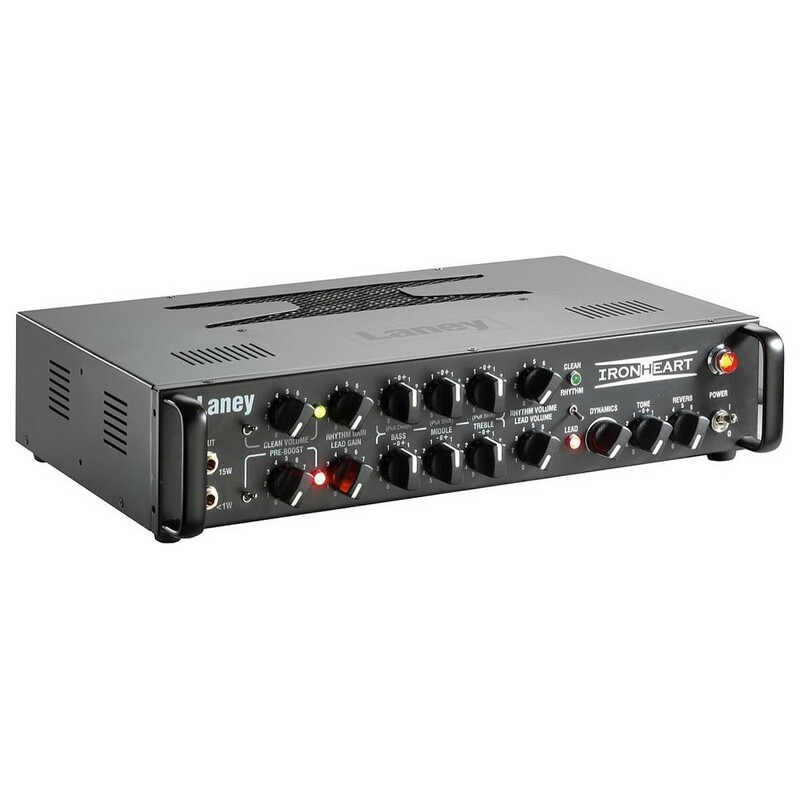 The amp head is also equipped with a range of inputs and outputs designed for seamless integration into existing rigs, from its speaker emulated D.I. to its USB and re-amp connectivity. Giving you crushing Ironheart tone in a 2U rack, the Ironheart Studio Rack Tube Amplifier delivers the same great Ironheart tones as the bigger heads but in a low wattage studio package. The IRT-Studio offers the same classic tones as the big Ironheart amps, but in a low-power, compact, and lightweight design. Equipped with ECC83 Preamp valves and EL84 output valves, the IRT-Studio amp delivers 15W of pure tonal power, with the option to switch to less than 1W via the second input for times when loud volumes aren’t permitted. Even with is compact design, the amp head still offers 3 channels and a wide range of control to dial in the perfect tone for any situation. Its 3 band EQ features push/pull EQ shift functions, extended the frequency ranges for further tone shaping, while the dynamics, tone, and reverb controls allow players to give their sound a personal touch. Along with its incredible tonal capabilities, the Ironheart Studio features a variety of ins/outs to seamlessly integrate into existing rigs. Its D.I. output is perfect for directly connecting the amp head to DAWs, PAs, and mixing consoles, and features a high-quality speaker emulator to deliver all valve tones to your DAW or PA, or even both at the same time. 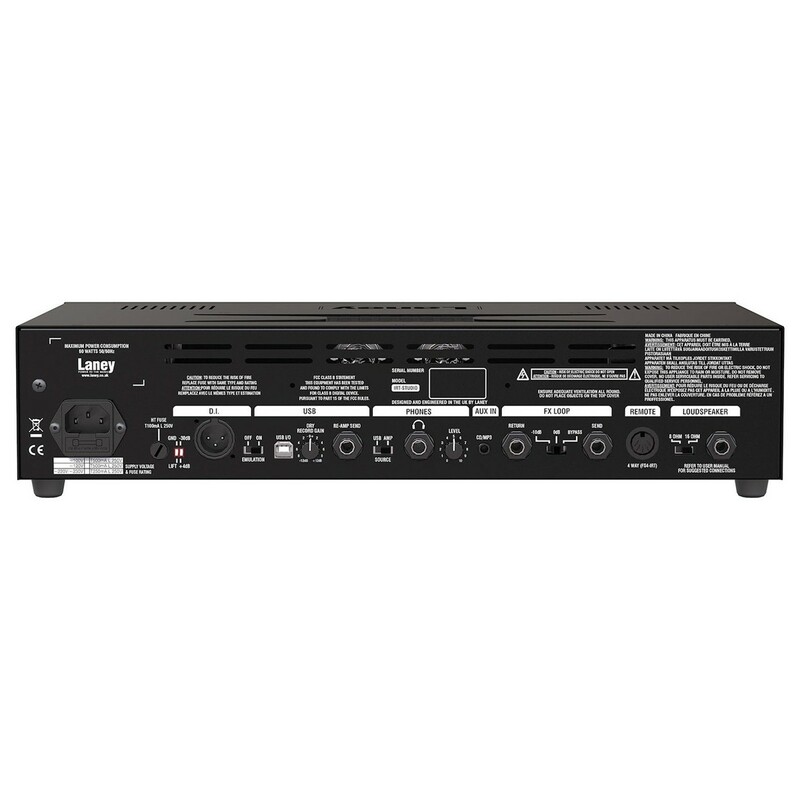 The amp is also equipped with an internal dummy load, removing the need to connect an external speaker and deliver a truly silent recording. The FX loop is idea for connecting your favourite stompboxes, and the Aux in is perfect for playing along to backing tracks and songs. 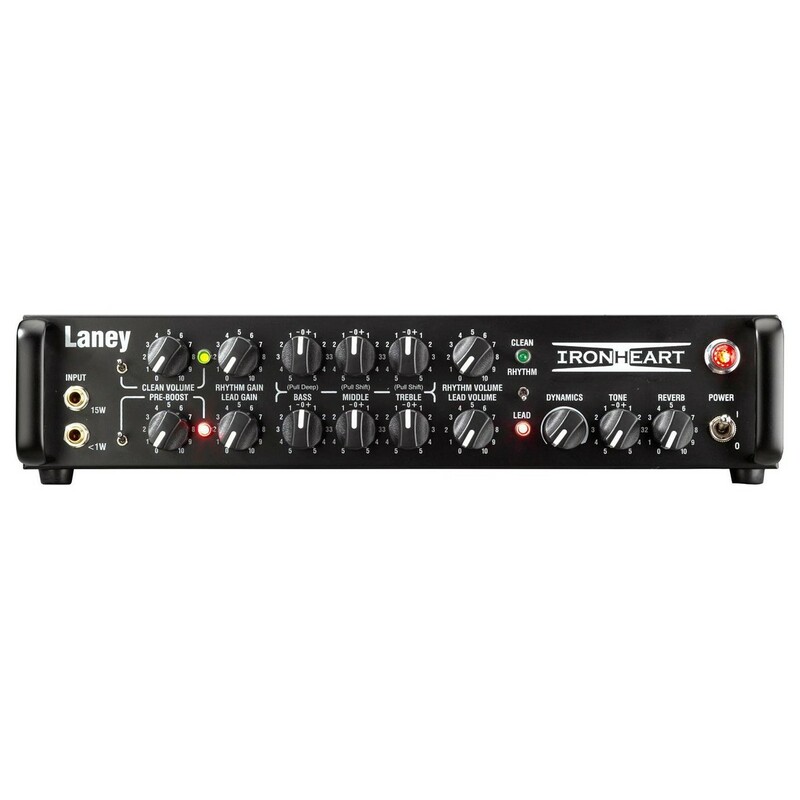 The Laney amp also features a USB audio I/O and re-amp send jack, expanding the amp head’s versatility. The USB supplies both a dry signal and the processed signal, split left and right to your DAW, straight into either your PC, Mac or iPad. This useful addition means you can alter the guitar tone of your original recording, without having to re-track anything.